The expanding Universe, full of galaxies and complex structure we see today, arose from a smaller, hotter, denser, more uniform state. Image credit: C. Faucher-Giguère, A. Lidz, and L. Hernquist, Science 319, 5859 (47). This article was written by Sabine Hossenfelder. Sabine is a theoretical physicist specialized in quantum gravity and high energy physics. She also freelance writes about science. One of inflation’s cofounders has turned his back on the idea. But practically no one else is following him. Is he right? We are made from stretched quantum fluctuations. At least that’s cosmologists’ currently most popular explanation. According to their theory, the history of our existence began billions of years ago with a — now absent — field that propelled the universe into a phase of rapid expansion called “inflation.” When inflation ended, the field decayed and its energy was converted into radiation and particles which are still around today. The quantum fluctuations inherent to space, stretched across the Universe during cosmic inflation, gave rise to the density fluctuations imprinted in the cosmic microwave background, which in turn gave rise to the stars, galaxies, and other large-scale structure in the Universe today. Image credit: E. Siegel, with images derived from ESA/Planck and the DoE/NASA/ NSF interagency task force on CMB research. As alternative to inflation, Steinhardt et al. promote a “big bounce.” In this scenario, the universe’s current expansion was preceded by a phase of contraction, yielding similar benefits to inflation. The group’s fight against inflation isn’t news. They laid out their arguments in a series of papers during the last years (on which I previously commented here). But the recent SciAm piece called The Defenders Of Inflation onto the stage. 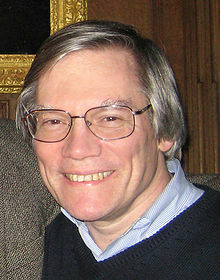 Led by David Kaiser, they signed a letter to Scientific American in which they complained that the magazine gave space to the inflationary criticism. The letter’s list of undersigned is an odd selection of researchers who themselves work on inflation and of physics luminaries who have little if anything to do with inflation. Interestingly, Slava Mukhanov — one of the first to derive predictions from inflation — did not sign. And it’s not because he wasn’t asked. In an energetic talk delivered at Stephen Hawking’s birthday conference two months ago, Mukhanov made it pretty clear that he thinks most of inflationary model-building is but a waste of time. I agree with Muhkanov’s assessment. The Steinhardt et al. article isn’t exactly a masterwork of science writing. It’s also unfortunate they’re using SciAm to promote some other theory of how the universe began rather than sticking to their criticism of inflation. But some criticism is overdue. Various models of inflation and what they predict for the scalar (x-axis) and tensor (y-axis) fluctuations from inflation. Note how just a small subset of viable inflationary models gives rise to a huge variety of possible predictions for these parameters. Rather than taking on this overproduction problem, however, Steinhardt et al. in their SciAm piece focus on inflation’s failure to solve the problems it was meant to solve. However, this criticism is off-target because the problems that inflation was meant to solve aren’t problems to begin with. If the symmetry restoring grand unification were broken, a large number of magnetic monopoles would be produced. But our Universe doesn’t exhibit them; if cosmic inflation took place after this symmetry were broken, at most one monopole would still be present within the observable Universe. Image credit: E. Siegel / Beyond The Galaxy. If the early universe underwent a phase-transition, for example because the symmetry of grand unification was broken — then topological defects, like monopoles, should have been produced abundantly. We do not, however, see any of them. Inflation dilutes the density of monopoles (and other worries) so that it’s unlikely we’ll ever encounter one. But a plausible explanation for why we don’t see any monopoles is that there aren’t any. We don’t know there is any grand symmetry that was broken in the early universe, or if there is, we don’t know when it was broken, or if the breaking produced any defects. Indeed, all searchers for evidence of grand symmetry — mostly via proton decay — turned out negative. This motivation is interesting today merely for historical reasons. The quantum fluctuations that occur during inflation do indeed get stretched across the Universe, but the larger feature of inflation is that the Universe gets stretched flat, removing any pre-existing curvature. Image credit: E. Siegel / Beyond the Galaxy. The flatness problem is a finetuning problem. The universe currently seems to be almost flat, or if it has any spatial curvature, that curvature must be very small. The curvature contribution to the dynamics of the universe however increases in relevance relative to that of matter. This means if the curvature is small today, it must have been even smaller in the past. Inflation serves to make any initial curvature contribution smaller by something like 100 orders of magnitude or so. This is supposed to be an explanation, but it doesn’t explain anything, for now you can ask, well, why wasn’t the original curvature larger than some other number? The reason that some physicists believe something is being explained here is that numbers close to 1 are pretty according to current beauty-standards, while numbers much smaller than 1 numbers aren’t. The flatness problem, therefore, is an aesthetics problem, and I don’t think it’s an argument any scientist should take seriously. The Universe appears to be the same temperature everywhere, even in causally disconnected regions of the sky. This is colloquially known as the horizon problem. No image credit. The Cosmic Microwave Background (CMB) has almost the exact same temperature in all directions. The problem is, if you trace back the origin of the background radiation without inflation, then you find that the radiation that reached us from different directions was never in causal contact with each other. Why then does it have the same temperature in all directions? The horizon problem asks “why this initial condition” for the universe. This question is justified if an initial condition is complicated in the sense of requiring a lot of information. But a homogeneous temperature isn’t complicated. It’s dramatically easy. And not only isn’t there much to explain, inflation doesn’t even answer the question “why this initial condition” because it still needs an initial condition. It’s just a different initial condition. It’s not any simpler and it doesn’t explain anything. Another way to see that this is a non-problem: if you’d go back in time far enough without inflation, you’d eventually get to a period when matter was so dense and curvature so high that quantum gravity was important. And what do we know about the likelihood of initial conditions in a theory of quantum gravity? Nothing. Absolutely nothing. That we’d need quantum gravity to explain the initial condition for the universe, however, is an exceedingly unpopular point of view because nothing can be calculated and no predictions can be made. Inflation, on the other hand, is a wonderfully productive model that allows cosmologists to churn out papers. The power spectrum of the fluctuations in the CMB are best fit by a single, unique curve. This curve can be uniquely derived, in both shape and magnitude, from the contents of the Universe and the initial conditions provided by the predictions of inflation. No image credit. You will find the above three problems religiously repeated as a motivation for inflation, in lectures and textbooks and popular science pages all over the place. But these problems aren’t problems, never were problems, and never required a solution. Even though inflation was ill-motivated when conceived, however, it later turned out to actually solve some real problems. Yes, sometimes physicists work on the wrong things for the right reasons, and sometimes they work on the right things for the wrong reasons. Inflation is an example for the latter. But here is the rub. To make predictions with inflation one cannot just say “there once was exponential expansion and it ended somehow.” No, to be able to calculate something, one needs a mathematical model. The current models for inflation work by introducing a new field — the “inflaton” — and give this field a potential energy. The potential energy depends on various parameters. And these parameters can then be related to observations. Three possible ‘hills-and-valleys’ potentials that could describe cosmic inflation. Though they give somewhat different results for the various parameters of the Universe, there is no motivation for choosing one model over another. Created with Google’s graph tool. The scientific approach to the situation would be to choose a model, determine the parameters that best fit observations, and then revise the model as necessary — i.e., as new data comes in. But that’s not what cosmologists presently do. Instead, they have produced so many variants of models that they can now “predict” pretty much anything that might be measured in the foreseeable future. I was therefore dismayed to see that the criticism by Steinhardt, Ijas, and Loeb was dismissed so quickly by a community which has become too comfortable with itself. Inflation is useful because it relates existing observations to an underlying mathematical model, yes. But we don’t yet have enough data to make reliable predictions from it. We don’t even have enough data to convincingly rule out alternatives. There hasn’t been a Nobel Prize for inflation, and I think the Nobel committee did well in that decision. There’s no warning sign you when you cross the border between science and blabla-land. But inflationary model building left behind reasonable scientific speculation long ago. I, for one, am glad that at least some people are speaking out about it. And that’s why I approve of the Steinhardt et al. criticism. Contrary to what the name suggest, the initial conditions could be at any moment, not necessarily the initial one. We would still call them initial conditions. ** This argument is somewhat circular because extracting the time-dependence for the modes already presumes something like inflation. But at least it’s a strong indicator. Inflation theory was first proposed by cosmologist Alan Guth, now at MIT, back in 1980. It’s based on the idea that a fraction of a second after the Big Bang, the Universe expanded rapidly, spinning entire galaxies out of quantum fluctuations. But in the years since, Steinhardt has gone rogue, and has become an active critic of inflationary theory. He was one of the authors of Scientific American’s February feature, originally titled “Pop goes the Universe”, along with Princeton physicist Anna Ijjas, and Harvard astronomer Abraham Loeb. “The data suggest cosmologists should reassess this favoured paradigm and consider new ideas about how the universe began,” summarises an ‘In Brief’ wrap up of the article.